Mr. Olavo Rasquinho retired recently from his position as Secretary of the UNESCAP/ WMO Typhoon Committee, whose headquarters are in Macao, China. 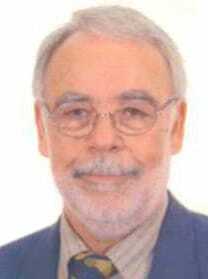 During the Portuguese administration he also was Director of the Macao Meteorological and Geophysical Bureau (1996-1998). In Portugal, he performed functions in the Portuguese Institute of Meteorology and Geophysics as head of the International Affairs Division, head of the Meteorological Watching Office of the Lisbon International Airport and head of the Weather Analysis and Forecasting Center. He also performed functions as WMO and ICAO expert in several missions in Angola, Mozambique, Dominican Republic and Guinea Bissau.